The Blues host step three side Taunton Town this Saturday in the Fourth Qualifying Round of the FA Cup. With a place on offer in the first round proper of the most famous Cup competition in the world, stakes are high. The Peacocks visit after eliminating National South side, St. Albans in an impressive 5-2 home victory in the previous round. With Billericay sealing their place in the draw after comfortable victories against level 10 outfit, Burnham FC, and Isthmian Premier opponents, Whitehawk, we expect Taunton to provide the sternest test so far on the Road to Wembley. Taunton has recent Cup pedigree reaching the 1st Round in 2016/17, only succumbing to National League side, Barrow, after a replay. The architect of the Cup success, manager Leigh Robinson, left his position at the club in early September. In charge for six years, and having enjoyed great success, Robinson was tempted away from Somerset to take the reins at National South strugglers, Truro City. The Peacocks moved swiftly to install Head Coach, Rob Dray, as interim manager with Assistant Coach, Matt Villis, as his second-in-command. Dray, who joined Taunton in 2016, is best known as a coach but has managerial experience on his CV in the lower leagues at Bridgewater Town. Taunton is handily placed in equal second position in the League after 11 matches. The new management duo has taken charge of five league games, recording three victories and two losses. In these matches, the West Country side benefits from a successful 100% record at the Viridor Stadium. Victories were achieved over bottom side, Chesham United (4-0) and 18th placed, Frome Town (3-0). Away from home, defeats were incurred against 14th placed Metropolitan Police (1-4) and 8th placed Poole Town (0-1), last year’s relegated side from the National South. On Tuesday night, the Peacocks recorded their first away success under Dray at 16th placed side, Dorchester Town (2-1). The Taunton side is known to be strong, athletic physical, and difficult to play against. Levels of fitness are outstanding and support a high intensity pressing game. Ex-manager, Robinson, who oversaw a very successful pre-season described the squad’s fitness as “phenomenal”. Praise indeed from a man who introduced cliff running and circuit training at his new club, Truro, last month. This has not changed under Dray who was influential within the previous regime. It is not by accident that the Peacocks have scored in the 86th minute or later in five of eleven League matches. They even saved a last minute strike for the FA Cup triumph over St. Albans earlier in the month. With an increase in the budget once again this year, prolific striker, Andrew ”Rocky” Neal was acquired during the summer from Truro City. That he became a Peacock after having turned down an improved contract offer from the “White Tigers” is a real sign of progress. Leading scorer for Truro in 2016/17, he made an immediate impact at the Viridor, scoring nine goals from six pre-season games and has seven League goals so far. Pacey and favouring the left side, this slightly built frontman is very dangerous leading counter-attacks. Also to note up front, Matt Wright, a bustling, physical striker, with an excellent aerial game, was top scorer last season with an eye-catching 29 goals. He has stared well at the higher level with five League goals in this campaign, including a last minute conversion of a pressure penalty to secure a 3-3 home draw against Hendon. 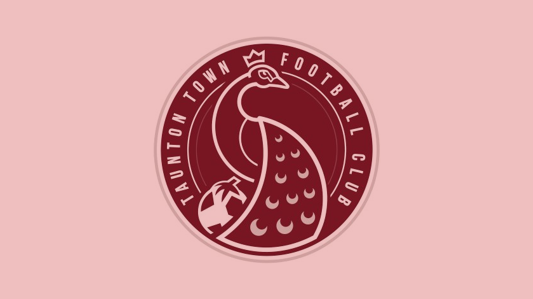 With 23 goals scored in 11 League games, Taunton carry a similar offensive threat to that which swept them to the title last year. Coach Dray’s decision to move striker Neal further forward and onto the shoulder of target man, Wright, has paid instant dividends. After a single goal in six matches, Neal’s change in position brought him six more goals, including a hat-trick in 30 minutes v Chesham. Options up front include ex-Tavistock Town striker, Dan Sullivan, who can either operate in the number 10 role or as one of the main strikers. When called upon, back-up striker, Craig Veal has also not let anybody down offering pace and aerial threat, scoring against Dorchester recently. A key factor in the team’s success is the strength available in the central midfield where Blues should expect a tough contest. Within the “engine room” of the team, defensive midfielder, Ben Adlesbury, and box-to-box midfielder, Matt Buse, have held important roles in terms of winning the ball. Attacking threat is provided by youth system product, Ollie Chamberlain, who has followed up an outstanding season last season with another strong start to the campaign. When available, Ryan Brett, who misses the tie due to suspension, is a first choice starter. Under Bray, he has operated slightly deeper, which allows him more opportunity to get on the ball and shape attacking moves. 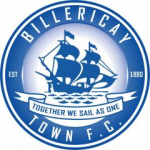 Billericay will need to be on top form against the visitors to secure passage into the next round. After a hard fought victory against Gloucester City, which showed some signs of tiredness in the latter stages, we expect Blues training intensity to have been managed down somewhat this week by coach, Brennan. The home side seem to have settled on a 4-3-3 formation and we see no reason why the line-up that played in the last League game should be materially changed. Should Ricky Modeste have recovered from his injury, we could perhaps see him coming into the first X1. With a tie at home against lower league opposition, Billericay will rightly fancy their chances of getting through to the next round. With the Hemel experience in mind from two years ago, Brennan will be keen to eradicate the bad memories of that defeat and ensure progress to the main draw. Come down to the AGP this Saturday and find out who comes out on top. Enjoy the game! Leading Scorer (League): Jake Robinson, 12 goals.